IVF with frozen embryos was so rare that this Icelandic couple told everyone they were ‘going shopping’ every time they came to the UK for treatment. 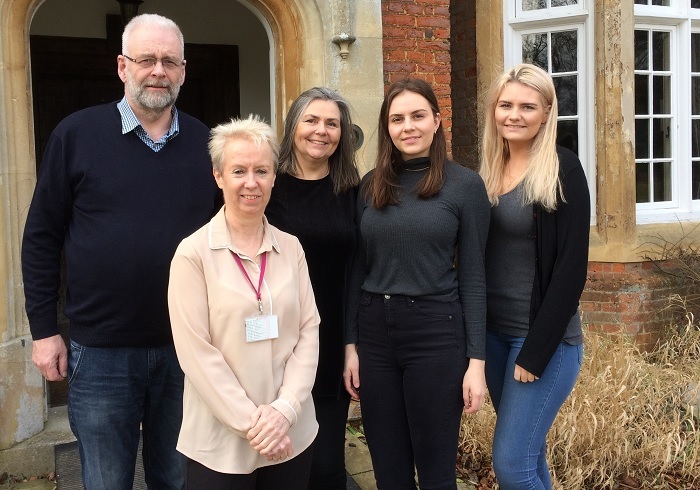 Now standing on the front steps of Bourn Hall Clinic’s historic building in Cambridgeshire on a crisp winter’s morning, Nina Kolbrun Gudmunsdottir from Iceland cannot believe that she is back after nearly three decades. 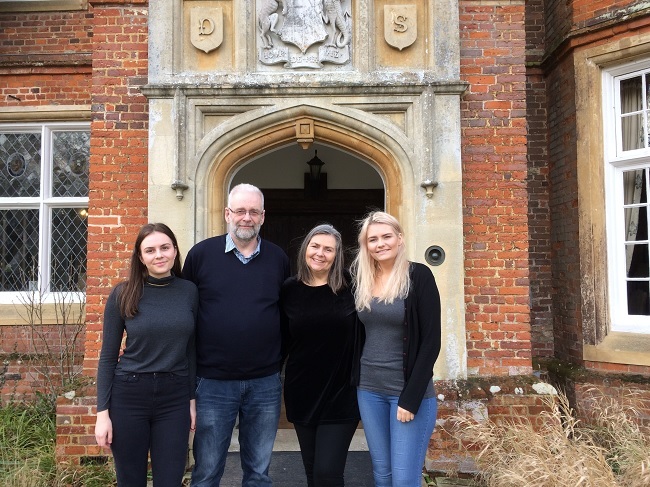 “This is a very emotional day,” says Nina, who had two daughters, Sigurbjorg and Anna Maria, after she and husband Kristian were treated at Bourn Hall in the early 1990s. Sigurbjorg is now aged 26 – and a mother herself to 16-month-old Elmar – whilst younger sister Anna Maria is 23. In those days IVF was still not really talked about and so Nina says that they didn’t tell friends the real reason they had started making frequent trips to the UK. “We used to say that we were going to Cambridge to go shopping,” she laughs. “Little by little though we started to talk about it and now we are very open about the fact we had our daughters after IVF. Sigurbjorg and Anna Maria were both ‘frozen embryo’ babies and mum Nina jokes that she refers to them as ‘twins’, even though they were born three years apart, as both of the embryos which they started as were frozen at the same time from the same treatment cycle. Both daughters, who owe their existence to the wonders of science, have themselves excelled academically in the subject and both are students at the University of Iceland – Anna Maria is studying chemistry whilst Sigurbjorg is studying biomedical sciences. “It makes it so special to think how things have worked out and that both of our girls have specialised in science,” says Nina, who celebrates her 30th wedding anniversary with Kristian this year. “Everyone at Bourn Hall Clinic was so lovely to us and it gave us such a lovely relaxed feeling. “Even though we were going through fertility treatment, which was stressful and we were nervous about whether it would be successful or not, we were in a special environment, and coming such a long way from Iceland to this beautiful place in this lovely village just made it so much easier for us. Bourn Hall is still pioneering fertility treatments – see what we can offer you here. Read more about Frozen Embryo Transfer here.